Manhattan has roots as a Warehouse Management System vendor, but is increasingly providing a broader solution footprint for use in retail stores (and across the supply chain). Here are observations from this year's user conference. Manhattan Associates celebrated their 25th anniversary at this year’s annual user conference (Momentum). During CEO Eddie Capel’s opening keynote, he talked about the changing role of the store associate as becoming a mashup of three roles A) the consummate sales person, B) a great omni-channel customer service agent, C) a fulfillment expert. Manhattan has solutions to help on all of those fronts. 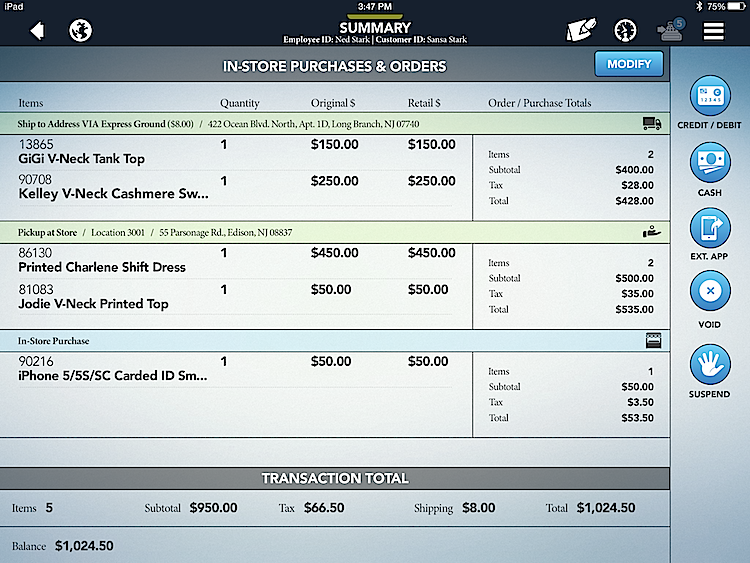 Pick, pack, and ship capabilities within the store. These needs, especially the last one, have drawn a number of warehouse management solution providers into trying their hand at in-store pick, pack, ship capabilities and a few of them into distributed order management. Manhattan has taken a further step by acquiring POS vendor GlobalBay, as well as bringing their omni-channel customer service solution to the store associates’ fingertips, giving them perhaps the broadest store footprint of any WMS vendor to-date. Inventory Management—the ability to manage inventory across the entire chain, including making virtual inventory reservations—building inventory holistically, but selectively protecting it for specific customers, regions, or promotional events. 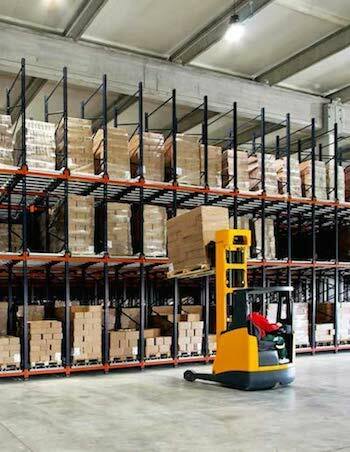 The platform provides this capability integrated with distributed order management and warehouse management. Supply Chain—Eddie emphasized Manhattan’s transportation management capabilities, such as transportation simulation modeling that uses calculated probabilities, rather than relying on fixed statistical averages. Manhattan’s transportation management runs in a single multi-tenant cloud environment and provides a variety of capabilities such as inbound, outbound, direct-to-consumer, dispatch management, audit, payment, and claims, transportation procurement, planning, and execution across small to large shippers. 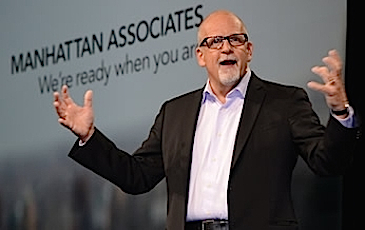 Omni-channel—Last year Manhattan introduced ATC (Available to Commerce), their availability framework, which is live at several retailers and going live at about a dozen more. They said some of their order management customers are generating over $100M in incremental revenue by enabling network wide fulfillment, especially store fulfillment. They also have POS (via GlobalBay), ‘Clienteling,’ store fulfillment, distributed order management, and other omni-channel capabilities. The acquisition of GlobalBay adds POS capabilities, further expanding Manhattan’s footprint in the store. It is a very capable platform with a modern well-designed UI. Just by knowing the name of a customer, the store associate can see a dashboard view of the customer with all purchases, lifetime value, wish list, recent activity, loyalty information, giving the associates as much knowledge across channels as Manhattan provides to CSRs (for more on this, see the ”Omni-channel Call Center” section from our write-up last year). It helps the store associate to do multi-tasking—dealing with multiple customers at once, quickly sending emails, scheduling pickups, and the ability to sell products across the network while standing with the customer right there in the store. One screen that drives some of this home is the ability to have a multi-channel order all on one screen and paid for with a single swipe. This could combine an in-store purchase—part of it carried out by the customer and part delivered home—along with items shipped from the DC or other stores, for both home delivery and pickup from store—all in a single screen with single-swipe payment. You can clearly see each part of the order, the separate delivery charges and taxes (items shipped from/to different locations incur different taxes) … nice stuff. GlobalBay is built so that it can augment the fixed cash wrap and existing POS system. It can appear to a retailer’s existing POS as just another terminal on the system. This makes it easy to get up and running quickly and incrementally with mobile POS and line-busting. However, the system can also be used as the sole POS and can be mounted in a fixed cash wrap as well. Manhattan rarely acquires firms (this was their first acquisition in about a decade), strongly preferring to take the slower but more integrated route of building solutions organically. In this case they made an exception, and it looks like a good one. When Manhattan first decided they should support pick, pack, and ship in the store, they initially hoped to reuse their WMS functionality from the warehouse. However, they quickly realized it was a very different environment and use case with very different users and so decided they should build it new from the ground up. We published a fairly in-depth write-up about Store Inventory & Fulfillment in our report on last year’s Momentum conference, which highlights the intuitiveness and ease of use of this solution. Since then, Manhattan added a rules engine for prioritizing order picking. The retailer can create rules that look at the order characteristics, such as the type of order, type of shipment (e.g. UPS Next Day vs. Ground), number of line items, categories of items, departments of the items, inventory positions, and many other factors. These can then be used to prioritize and group together orders: for example picking the Same Day orders first, then Next Day orders, and then Ground shipment orders. Or pick items with less inventory on hand to ensure the orders are fulfilled while there is still inventory available. All the orders are run through the rules engine and put into various pick queues to be executed. Then the retailer optionally can do pick path optimization as well. Manhattan started out as a WMS solution provider and WMS is still Manhattan’s largest source of revenue and largest area of R&D investment. In talking to various customers and prospects at the conference, certainly many were selected (or were considering) Manhattan because of omni-channel, but more were there because of their need for advanced WMS capabilities. One fairly large apparel retailer that was still in the middle of their selection process told me their decision was driven by the need to fulfill more and more online orders faster and they felt Manhattan would provide the groundwork for growth. A major distributor of food and consumables for one of the largest Quick Service Restaurant chains (QSR, i.e. fast food) has 63 distribution centers worldwide (18 in the US). They selected Manhattan for the WMS capabilities, driven by the need for rapid turnaround on FDA requests for one-up/one-back traceability information, as mandated by FSMA.2 They also said the major differentiator and factor in their decision was Manhattan’s responsiveness and willingness to partner. They had some unique requirements and Manhattan was willing to help build and support it. While Manhattan’s roots are in the warehouse, they long ago stepped beyond that to broader supply chain capabilities. With the continual expansion of their store footprint, they have become a major contender in store systems as well. It could be argued that it is easier for a supply chain company to build out store systems than for a store system company to build out supply chain capabilities. It will be fascinating to watch how the battle for the store shapes up and Manhattan’s role in providing the broader systems for the store of the future.